@maa_bunny even if AK-12 is adopted it was seriously simplified. Here is the picture of two rifles. 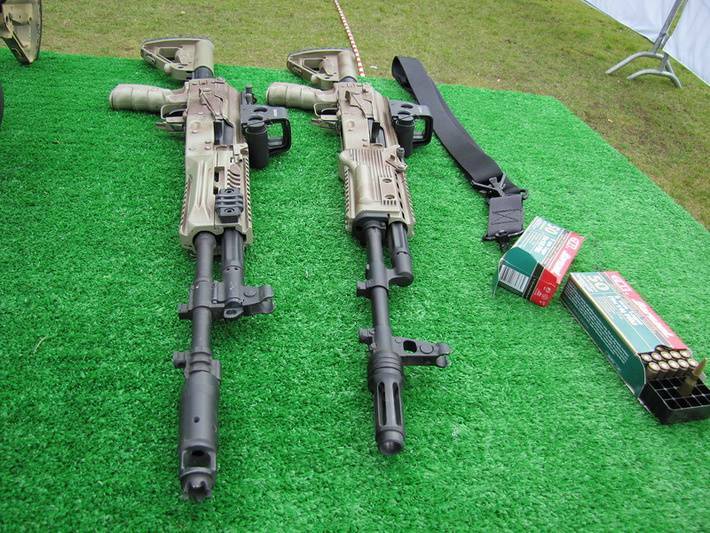 One of them is customised AK-74 and other is the current version of AK-12. Why would someone need one more AK-74? Forget about AN-94 and AK-12. First one was a controversial gun, produced in a very little numbers and second wasn't even in production at all. Even if Insurgency is not depicting any certain conflict, it's not so detached from reality. So, unique or scarce firearms are not welcome. Good idea, but I don't know if it's possible to recreate this effect in game. @thehappybub as I said it's AK-74 (AK-74M probably). Just painted and customised. And AK-12 isn't even in production, forget it. AN-94 was produced in a very little numbers until 2008 and remains in service just in a few units. So it wasn't a viable option for russian SOF in Syria. @thehappybub well, there isn't a single AN-94 at these pictures. You have mistaken AK-74s for it. Within 100-200 meters and maybe even out to 400 meters the VSS just destroys whatever the hell it hits. It's no joke. Well, in our world 9x39 wouldn't outperform 7.62x51 at any range, if we are talking about same bullet type. Despite the fact that 9mm bullet of VSS is heavier than 7.62 bullet it has far less energy. And that bullet with "tungsten penetrator" that @MarksmanMax mentioned is not standard, it's AP. By the way, it's not tungsten, it's hardened steel. @thehappybub that's interesting. Never heard of it, could you please provide some proof? VSS, by the way, is a special weapon with low-velocity subsonic ammo and it certainly won't balance out the SCAR. @thehappybub AN-94 is extremely rare experimental weapon. It's almost as suitable for this game as HK G11. Maybe ping is too high?